HomeRiver Group™ Orlando Investment services provides analysis that is concise, but rigorous enough to give clients confidence in our recommendations. Our reporting is data-driven, but our experience is real-world. We’re full-service in our skills and approach, handling substantial portfolios or single-purchase investments. Having our roots in property management, we have experience and passion for consulting and analytics to provide investors the tools to select the properties to fit their objectives of their investments. 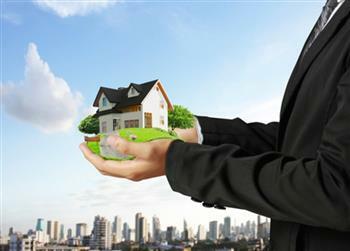 We offer a full service approach to real estate and all the benefits and rewards that come with real estate investing. From Harvard graduates to seasoned marketing professionals, the HomeRiver Group™ Orlando team has been assembled to provide each client the optimal real estate investment experience. 25% of our consultants have Master’s Degrees or higher. Most have extensive corporate experience. 50% percent have advanced degrees in real estate or are Brokers. Most have a decade of experience in the business. We’re not opportunist Realtors who took up property management in the real estate slump. We believe in a working knowledge of the market. We know our neighborhoods, market pricing and rental rates. We bring that expertise to our clients as we maximize the profitability of their real estate portfolios. In late 2011, a new opportunity for purchasing investment properties became available in central Florida. The foreclosure auction process was completely revamped and streamlined and put online. The HomeRiver Group™ Orlando investment team created a system for using this exciting new acquisition tool to grow the investment potential of a client’s real estate portfolio. The HomeRiver Group™ Orlando auction team scrubs auction data using proprietary software. We estimate property values and combine this with auction fees, purchase commissions, and projected real costs to produce a recommended bid price. As needed, HomeRiver Group™ Orlando property inspectors and rehabilitation managers will investigate the physical condition of the property, reviewing all structural, electrical, and mechanical systems. They will note any observable systems an investor should be aware of before purchasing. When a decision is made to purchase, HomeRiver Group™ Orlando offers contract and closing services, property inspections, rehabilitation management services, property tax negotiations, as well as historic tax exemption consultancy. Through our industry leading pro-forma-analysis, our consultants help clients evaluate real estate from all angles — from financial analysis (including capitalization rate determination, and evaluation of rate of return or cash-on-cash return) to long term valuation. We will estimate the long term value prospect of your property (including your potential future appreciation, market upside and downside, and the market potential). Once a property is acquired, we can implement HomeRiver Group™ Orlando’s property management services, leasing and maintaining single and multi-family properties. When you are ready for resell, HomeRiver Group™ Orlando will market your property for a quick sale with a service team you already have on your side!